Established in 1982, we own one of the best known and most experienced garment dyeing factories in the UK. Our state of the art, high production plant combined with a winning team of experienced staff ensure unrivalled quality and service. 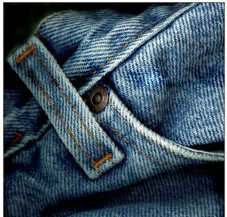 We have a daily output of 5000 garments and can increase this by laying on extra shifts as they become needed. A typical turnaround time is 1-2 working days. Our colour matching skills are infamous ensuring striking results for fashion garments and corporate colours utilised within workwear or promotional garments. 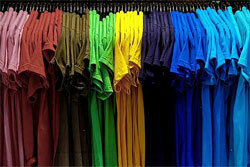 Whether it be jeans, shirts, t-shirts,blouse jackets, skirts or even underwear we can dye cottons, viscose, wools and silks in literally tens of thousands of shades and colours. These can be selected from our own colour charts, given to us as pantone references or colour matched against swatches supplied by you the customer. Copyright London 2009 - london and essex, uk. garment dyers and fabric dyeing services.